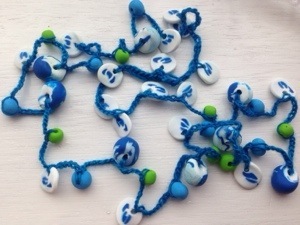 I made a necklace with my daughter at the weekend. 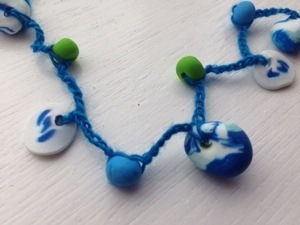 We made a load of simple beads from fimo, and I strung them together on some yarn leftover from a shawl. I like the way it looks; simple, but colourful. And a nice mother-daughter project too (she’s 6). < Well, this blog is crap, she never bloody posts! Thanks! I haven’t played with fimo in years! Reliving my youf!